Port Rowing offers an Adaptive Program for rowers with special needs, including autism and physical disabilities. The repetitive nature of rowing and it’s ability to strengthen and improve cardiovascular fitness makes our program a unique opportunity for non-traditional athletes to improve fitness levels while having fun, learning a new skill, and developing relationships with coaches and other rowers. At PowerPals every child, each with a unique array of talents and limitations, is fostered in our safe and comfortable classes led by a very knowledgeable staff of fitness professionsals. JCC also has wonderful aquatics programs for all levels. Private adaptive lessons are offered for 2.5 hours, which includes specialized equipment and rentals. Hours of operation are December through April. We offer lessons for Mono-ski, Bi-ski, Visual or hearing impaired, intellectual disabilites, 3-track or 4-track, and adaptive snowboard. Our program at Catamount Mountain offers lessons on the weekends only. Advanced reservations are required with a current application on file. Cost is $50 at Catamount, $50 at Jiminy Peak, and $75 at Ski Sundown. Shadow tickets are available to accompany a lesson for and additional fee. STRIDE Adaptive Sports is a PSIA-E member school as well as a member of Disabled Sports USA, a Paralympic Sports Club, and Special Olympics training club. Please call our offices at (518) 598 1279, or email info@stride.org to: make a reservation; get rates; find out more about the race team; jin our generous private and corporate donors; express your interest in becoming a volunteer; and get other addictional information. The Adaptive Sports Foundation at Windham Mountain is the largest program of its kinda on the East Coast, and is considered one of the top Adaptive Sports Programs in the nation. The program works with individuals with a wide range of disabilities. From December through March, the Adaptive program runs seven days a week and offers half and full-day lessons. In addition to lessons, Adaptive Sports participants have their own racing program. It’s open to adults and children of all ages. The Foundation’s professional and volunteer staff provides quality lessons that will give participants the freedom of skiing – and improved self confidence. Be sure to make reservations early, as lessons fill up very fast! Challenger Baseball: Roslyn Little League – starts April each year. Email Eric Kobrick to sign up. This is a wonderful progarm for kids. They have volunteers who work 1:1 with your child on baseball skills and they play games. They adapt to your child’s needs. Be The Best Sport at Unlimited Sportsaction in Port Washington – We have recently been recognized by the Special Olympics as a Certified Special Olympics Training Center for Long Island athletes. Training for the Special Olympics will be a year-round program and players will enter competition in the spring . Our professional staff has been certified by Special Olympics Programs Specialists to coach in these tournaments and skills competitions. The basketball program is for athletes 8 & up. Call 516-453-0990 or email for more information. HorseAbility‘s mission is to offer a wide range of horse-related programs to children, adults, and families with special needs to promote the physical, psychological, emotional, social, and spiritual well being of its participants. The personal attention that each participant receives from our wonderful staff and volunteers is unparalleled. Consultation with participants, their families, and staff takes place on a regular basis to ensure that the appropriate level of service and programs are being utilized to optimize the impact of our programs. Go to their website for more information. Sky Therapeutic Riding LI helps rides of all ages and abilities find strength and independence through their partnership with the horse. Therapeutic riding benefits everyone including individuals with mental, physical, and emotion developmental delays, those on the autistic spectrum, MS, Downs Syndrome and more. My riders gain increased confidence, patience and self esteem through riding, therapeutic riding and my Sky Time Equine for Teens social skills group. Each social skills group session is facilitated by Christa Schorn, LCSW and myself. Also offering Equine Facilitated Psychotherapy. Sky Riding LI is located at 7 Downs Road, Huntington. Nancy Tejo 516-241-2046, info@skyridingli.com. Rolling Thunder Special Needs Program is a non-profit organization dedicated to providing challenged individuals with the opportunity to successfully participate in all levels of mainstream athletics. Rolling Thunder is open to developmentally and/or physically challenged individuals, age 5 or older, regardless of disability. Our team is also open to siblings and other family members, and to any members of the community willing to volunteer their time and effort. Soccer Saturdays for children on the Autism Spectrum or other special needs.Call for more information 767-7675. If your child needs extra instruction and attention in soccer, Port PAL Soccer is the program for him/her. Pre-K/K, 1st, 2nd, and 3rd grade programs. Starts April 2, 8:30AM-9:45AM and 10-11AM (Pre-K). Go to their website for registration information or email them at pwpalsoccer@gmail.com. Due to the continuing efforts of the Annual Golf Outing committee and supporters, sufficient money is raised each year to enable us to offer this program at no fee! 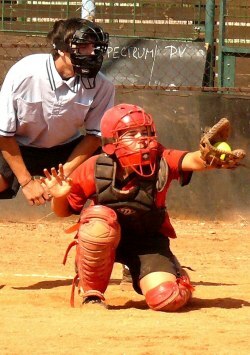 Practices are held every Saturday morning from 10:00 a.m. to 11:00 a.m. at the Center Street School on the rear field. If you know of anyone who would like to participate in our program, or come down to lend a helping hand, please call Richard Bletsch at (516) 328-3043. Port Washington Soccer’s program is based on the national Special Needs Soccer philosophy “Participation Not Competition.” Thus we want all the challenged youth of our community to gain the benefits from our program, not just children with Autism. If you know of any challenged children in our community that may be interested in participating in “the beautiful game” please forward this information to them at your earliest convenience. Our program will have a ?rolling registration? ? meaning that you can register at any time during the eight week session. Therefore, if you miss the first or second session, parents can still register for the remaining sessions. Manhasset Soccer invites all LI and Queens residents to join the Adaptive Soccer Program for all ages, all ability levels, boys and girls! Go to Manhasset Soccer Website to register. Surfer’s Way is a non-profit organization designed to offer children with special needs the opportunity to experience the exhilaration and liberation of surfing. We offer free surf outings during the summer in a variety of locations, primarily based in Long Beach, NY. Elliot Zuckerman, of Surf2Live, and his team are highly committed to providing a fun, safe, monumental surfing experience for children with special needs. Om Sweet Om offers yoga Private sessions for special needs children. Call to make an appointment and to discuss your child’s needs. The Special Needs Unit of the Nassau County Police is an activity league that serves children ages 5 through 21 with varying disabilities. We provide sports, recreation and socialization for children who would otherwise sit at home because they could not make it in regular sports programs. We are a 501(c)3 charitable organization and the ONLY Police Activity League in the Country with a Special Needs Unit. needed skills for both instructional and safety purposes. Our programs need to expand as we have many children on a waiting list.Programs offered include basketball, bowling, sports fitness, fun with fitness, karate, dance, music/movement, horseback riding, track, flag football, tee-ball and coming fall 2008, lacrosse. For information on these programs, the unit or to register contact: P.O. Director, Darlene A. Capobianco (516-333-9600). PRC Creative Art Studio offers Art Therapy for Children with Special Needs. PDF with more information.